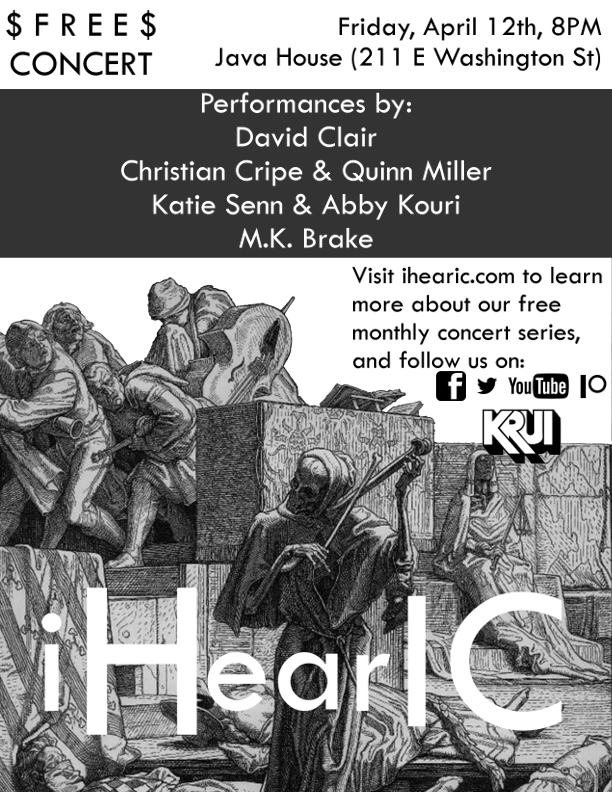 iHearIC is a monthly concert series and weekly radio show featuring local Iowa City musicians, poets, dancers, and performers from all disciplines. 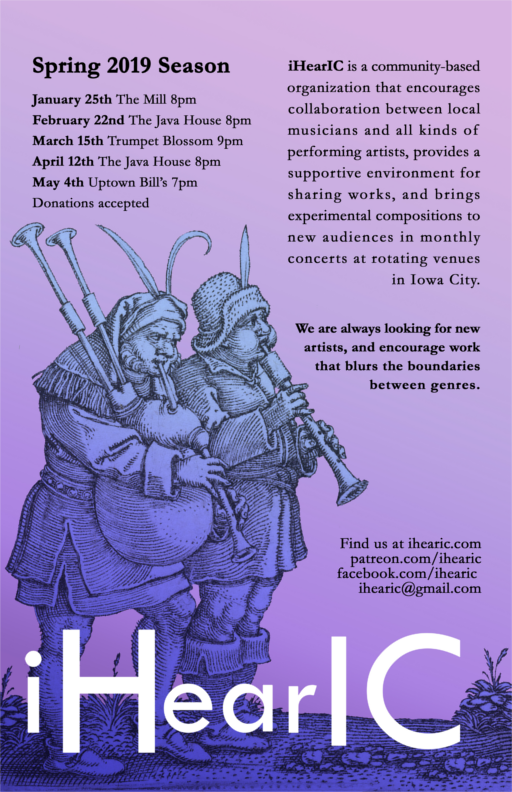 Concerts are hosted at local bars and coffee shops with free admission - donations to our promotional budget and performers' fund are always welcome. Radio shows are broadcast live every Sunday at 4PM on KRUI (89.7FM in Iowa City, streaming on krui.fm) and uploaded as a podcast afterwards. If you are interested in performing at a concert or having your music played on the radio show, please contact us using the information at the bottom of this page. We'd love to meet you!